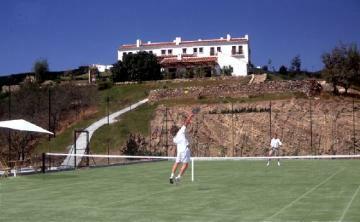 Villas with private tennis special offer SAVE 5 percent (an average of £150 per holiday) for all reservation received before 15th March 2013*. Villas Worldwide has an exceptional range of 40 villas which have both a private swimming pool and a private tennis court in France, Spain, Portugal, Italy and Bali. We also have a growing number of clients who really appreciate this type of holiday property. Here is your chance to take your family or friends to any of our superb range of holiday accommodation with pool and tennis court at any time of year. So if you were thinking about it already now is the time to book and if its a new idea then this is certainly the moment to give it a try. Book a Villas Worldwide villa equipped with a pool and tennis court before 15th March and we will reduce the cost of the villa by 5%. You can make really good saving and book a house you really want at the time you want to go as there is still some good availability even for school holidays. The villa Tasadua which sleeps five in Portugal is one of the favourites with our clients. 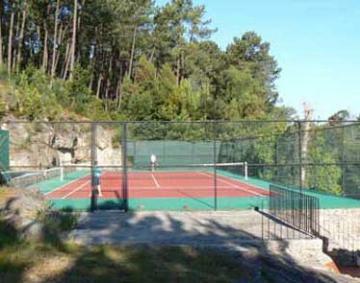 Follow the highlighted text to see our full collection of villas with tennis. It is highly unlikely that we will repeat this offer so book now and enjoy an exceptional holiday relaxing in a comfortable holiday home, swimming and playing tennis.